Tigecycline an antibiotic which was considered very effective against resistant strains of microorganisms and was liberally used to treat serious infections like ventilator associated pneumonia and diabetic foot infections is required to provide a boxed warning . A warning which is considered most prompt and effective for a drug. A safety alert is given by US FDA for the use of Tigecycline as a study have provided data indicating increased number of losses of lives in patients given Tigecycline for treating ventilator associated pneumonia through intravenous injection, compared with other antibiotics . This could be again due to development of resistance for Tigecycline as well. Tigecycline is not approved by US FDA for treating ventilator associated pneumonia and diabetic foot infection. Tigecycline is approved for treating community-acquired bacterial pneumonia (CABP), complicated skin and skin structure infections (cSSSI), complicated intra-abdominal infections (cIAI). 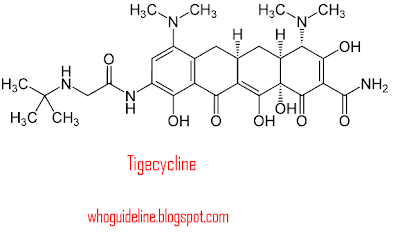 Tigecycline an antibiotic developed around tetracycline backbone belongs to a novel class of antibiotics Glycylcycline, it was developed to over come antibiotic resistance developed against tetracycline group of antibiotics by resistant strains of Staphylococcus aureus and Acinetobacter baumannii and to metalo- betalactumase enzyme ( ezyme which makes bacteria resistant to wide range of betalactum antibiotics). 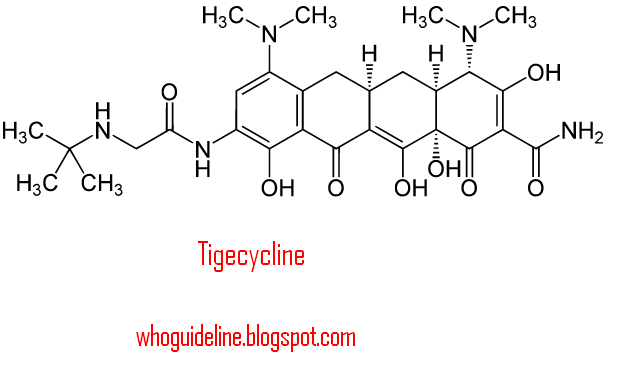 Tigecycline could easily counteract on such infection even an infection of multidrug resistant strain of Enterobacteriaceae could be eliminated with Tigecycline, which might be the reason tigacycline gained wide application in medicine for treating infections such as diabetes foot infection, and ventilator associated pneumonia. US FDA has given safety alert for using Tigecycline cautiously when there is no alternative antibiotic available.